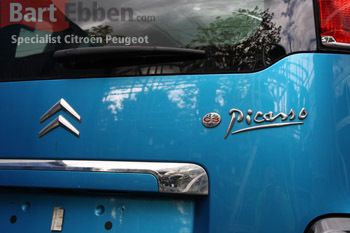 Thanks for visiting the Bart Ebben webpage, supplier for used car parts Citroën C3 Picasso. In over 35 years many customers have found Bart Ebben to be their best used car part partner. They highly rate our huge experience as a professional cardismantler specialised in Citroen and Peugeot and our wide spare part range. Because of our two brand specialism we can offer far more than just an engine or a gearbox. Shipping Citroën C3 Picasso used car parts like an airbag, an ECU or a front bumper is just as common for us, along with many, many other parts like a starter motor, alternator, steering rack, steering pump, suspension strut, brake calliper, dashboard, seats, steering column switch, display, fuel pump, intake manifold, exhaust, etc. Finding all common Citroën C3 Picasso used spare parts is possible from behind your desk in our online catalogue. Prefer ordering by phone? Our salesmen are ready to help you out relying on their large know-how, or send in a part request.